Terry Chan Photography: I'm Not a Goldfish! 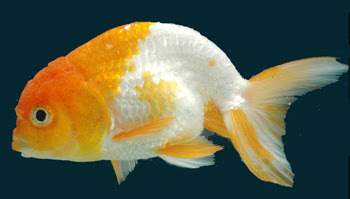 Anyone of you out there own a goldfish as a pet? I remember when I was young, I was fascinated with them. My uncle lived with us in Hong Kong (actually, everyone lived in one roof in our traditional Chinese culture), and he had a fish tank full of goldfish, angelfish, etc. I remember I kept feeding the little fishees and eventually their belly got bloated and they turned belly up. I did it out of love and affection for the little guys but I didn't know better. I thought I was loving them and doing what's good for them. *Sigh* I was only a little lad without any understanding and knowledge of their limitations. I was thinking from my point of view and didn't pay attention to their feedback and response. This is a prime example of bad communications can result in a bad outcome. This is the primary reason why I always avail myself and open a 2 way communications with my clients so that I have a better understanding of the needs/wants. This way, I can provide the top notch service that I strive to provide on a daily basis. Most of my clients can attest to that respect. On a followup story, when I got out of college and decided to move back in with my aging ailing parents. I was the goldfish and my Mom was the little me. She missed having me in the house so much she fed me 5 meals a day. And I was like the goldfish, not wanting to protest and eat blindly until every morsel of on my plate (bowl in my case) was consumed. As a kid, I was told/taught to eat everything in my bowl. The old fable of if I don't eat everything, then the face of my wife will resemble my bowl which is crater-like and scared like the leftovers in my bowl. And also, my Dad kept telling me that the kids in Congo are starving. They would be so lucky to have the kind of foods we had on our table. So very soon, I gained 40 pounds and my heart rate and cholesterol level soar to unhealthy heights. In retrospect, I should have told myself that I'm not a goldfish and that it's ok to not eat everything on my plate. It's not that I condone wasting food, but when I'm full, I should have the consciousness of saying to myself to STOP EATING!.